Welcome to the newest TTS feature: TTS Quick Pick! These posts are dedicated to cars that.. Oh let’s be real – these posts are dedicated to interesting cars we stumble across which we either a) don’t have the time to write comprehensively about or b) can’t be bothered to write more about because we are in the middle of binge-watching “The Americans” on Amazon. In any case, as part of our responsibility to bring more (any?) 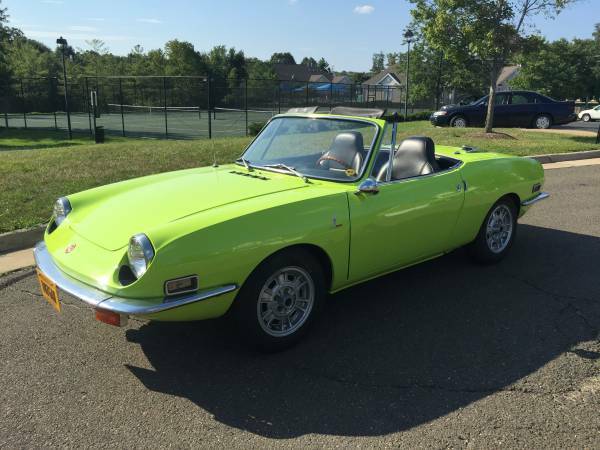 cars to you, we offer these short takes – starting with this pretty little 1971 Fiat 850 Spider which can be found here on CraigsList in Northern Virginia for $7,200. As you may have read elsewhere on Totally That Stupid, both of us were introduced to sports cars by our dads who both owned Fiat 850 Spiders at the same time in the early 1970s. They would wrench them on weekends, and commute in them during the week. I have memories of our whole family of four (at the time) crammed into the Fiat, my folks up front and my sister and I sitting on the shelf behind the seats on a pair of silver speaker covers that I thought were actually seats. I also remember evening trips to the East Norwalk train station to give Dad a jump start. Neat little cars, but not perfect. 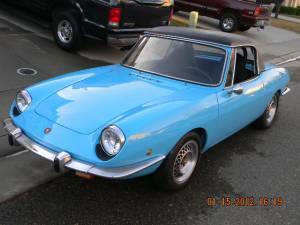 Find this blue example here on Craigslist in Sacramento, California for $2,200.